In November last year, WIKA launched a new mechatronic product family, under the label "intelliTHERM®": At the beginning was the TGT70 thermometer. Now there is another thermometer in the race: The intelliTHERM TGT73 . 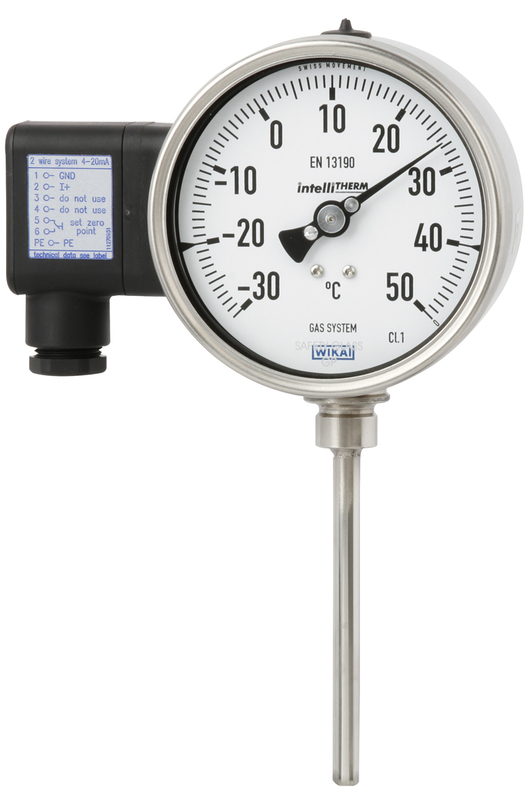 With the "intelliTHERM®" family, WIKA has applied its proven hybrid concept from pressure measurement technology. With the new thermometers, temperature can be precisely controlled and adjusted, in the event of power loss the analogue display guarantees a correct measured value. Since the need for a second measuring instrument is eliminated, these combination products also reduce costs. The TGT73, with a scale range of -200 ... 600 °C, is suited to the requirements of the process industry. 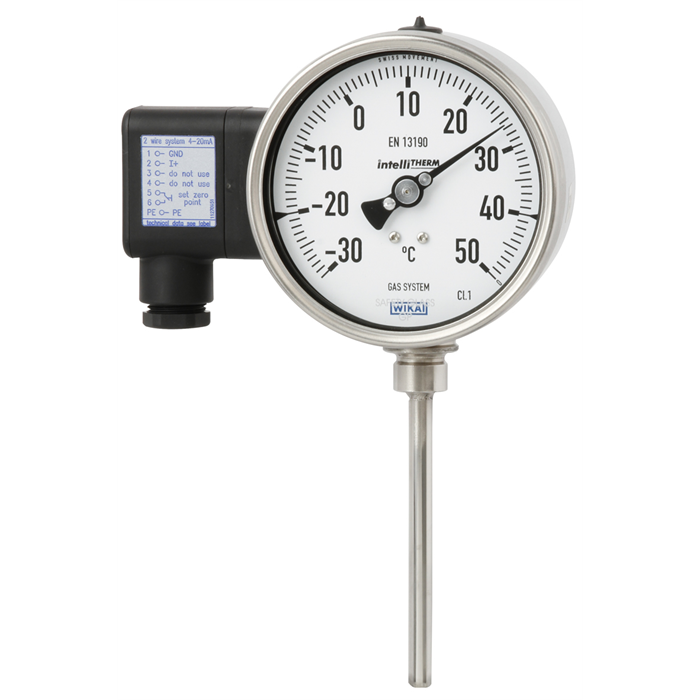 The available output signals are 4 .. 20 mA and 0 .. 10 V. For its new gas actuated thermometer, which is available in nominal sizes 100 and 160, WIKA has applied for ATEX approval and GOST-R certification.